Given the first opportunity, states have jumped into the warzones on command of the so called administrators, having mandate of their citizens. In the name of the land and people, wars are summoned and brought to the shores of those very citizens’ home. We all know and understand who has to bear the brunt of wars, strives and conflicts. Insurgency across borders, quest to seize more land, desire to have new nations, fanaticism to propagate one’s religion, or the insatiable hunger to be the world power have lead to numerous expeditions throughout the history, be it Alexander the ‘great’ or Hitler; ISIS or Chechen; China or USA. Let’s ask ourselves honestly. 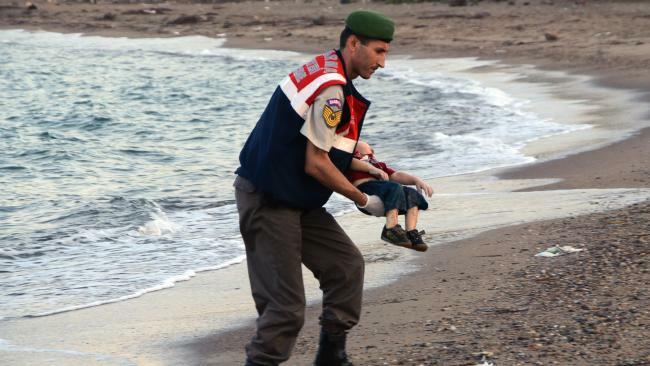 Who is responsible for Aylan’s death? Who is responsible for the death of Children in USA, Pakistan, Sri Lanka, Thailand our very own country? It’s all of US-every single person from each country who remains nothing but mute spectator while carrying out the daily chores for him/her and the immediate family members. We will make hues and cries on the social media for a few days. 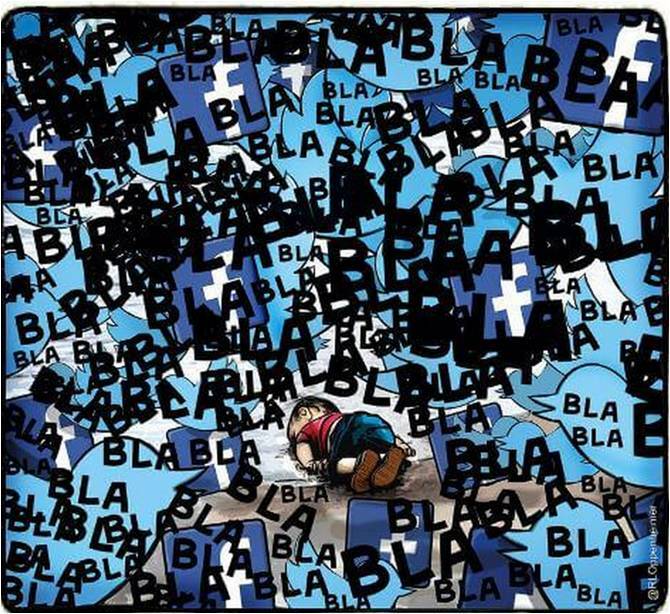 Some of us are so damned that we do it mostly in hope of getting more likes and retweets. Oh yes, Candle light processions are not to be forgotten, for a few days and then…. who cares! Life moves on, so do we. Another crisis till I write another article, self-bashing. Let me enjoy till then. Categories: introspection, Social responsibilities | Tags: Aylan, Europe, Kurdi, Migration crisis, Nilufer, Refugee, Syria, war | Permalink. We all pay homage to the Father of our Nation, Mahatma Gandhi every year on Gandhi Jayanti, celebrating it as a dry day. And one fool of a comapny in capitalist US used his name and picture on beer cans and bottles. How disgusting, disrespectful, idotic, irresponsible and shameful behavior! They have insulted Gandhi, India and the feeling of respect to our great hero, our national icon. How dare they! 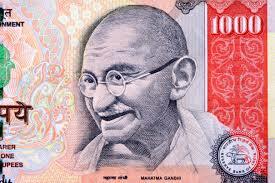 To us Gandhi is as important as Goddess Lakshmi. To us, he is as important as our dignity in the society and to us, he is as important as our currency notes which give us that dignity. And they disrespected him. Thankfully, someone has filed a case against this fool of a company at Cyberabad, contending that Gandhi’s image on the alcohol cans by the brewery is highly condemnable and punishable under Indian laws like Prevention of Insults to National Honour Act, 1971, and 124-A of IPC (related to use of inflammatory words, signs or visible representation). Who resorts to non-violence after drinking, except the Munna bhai saying Lage raho! Who cares to bow to any statue of him even for a second. And who walks without slippers on roads named after him! I request Arnab Goswami, on behalf of our countrymen to raise this issue in his show so that Gandhi meets justice, as his shows have far-reaching effects. Categories: news and views, Satire, Social responsibilities | Tags: father of nation, Gandhi, Gandhi Bot, Gandhigiri, Munna Bhai | Permalink. A safer place for women- How? With reference to several articles on the recent ‘Uber’ incidence, don’t we think we have reached a stage where we just debate the consequences without doing some groundwork to prevent the unfortunate happenings. If our society is so dominated by male-chauvinism, with our full realisation, did we ever take any step to make it moderate and civilized! Unfortunately, NO. Its not that we are suddenly realizing these evils. They were always there. It has been in recent decades that the media takes upon these topics and has been successful in creating some awareness. Woman commission has always been there, schools, teachers parents clergy, priests, bollywood and all the proponents of good and correct path were always there. Why didn’t then we teach our children the true values. One may argue that moral education classes in schools is a waste of time. How can it be if taken through correct discourse? Moral education as curriculum and inculcating moral values are two different things. As we teach our children not to steal money or rob people of their belongings but help the blind cross the road, we have to teach them to respect women and their body and to understand that a woman’s no means NO. Here we have a general notion that there is a yes even in a girl’s no (Remember, Ladki ki naa me bhi haan hoti hai?). I myself have joked over this many times and i do feel sorry about this. We have to teach our children from an early age that women are not objects/commodities on which betting and ownership can be claimed. Parents, being the first teachers have to take up this responsibility so that the next generation is more civilized and learns to respect women. Charity begins at home. Let’s prevent future embarrassments by investing in today’s children. Empowerment won’t come through media debates but by doing our homeworks! Categories: opinion, Social responsibilities, women empowerment, women safety | Tags: cab drivers, eve teasing, male chauvinism, respect women, social evils, uber, women empowerment, women safety | Permalink. Categories: Pen, Social responsibilities | Tags: author, honest, independence, journalism, paper, pen, sword, writer | Permalink. Cancer, being a major killer, affects almost every family on this earth, directly or indirectly. The lack of enough awareness and proper cure often leads to poor response from patients, impacting their survival and the quality of life. Treatment, especially chemotherapy/radiotherapy have many side-effects, with hair loss being the most prominent. Other effects include changes in skin texture and coloration, and ulcers. Physical features, especially hairs, are always a prized possession for all of us, and remains a matter of concern. Often, they are an indication of our health as well as well being- socially, culturally and financially. Cancer treatment being a costly affair adds to the severe discomfort and side-effects faced by the patients. All these start affecting the patients psychologically and a feeling of guilt may develop. Guilt of being a family wrecker, guilt of being a cause of nuisance to all, guilt of letting time and money go waste, without any hope of return. Each moment in front of the mirror reminds them of their situation and misery. Loss of hair, being the hallmark of cancer treatment, isn’t the bullet-mark of pride to a soldier. Loss of hair is the remnant scar which the cancer has afflicted upon the patients. Such scars may even lead to various negative thoughts. Being irritated all the time is a normal behavior. Frequent mood swings and emotional outbursts may be encountered. At times, one may loose temper and may be insulting as well. Does this mean we, the relatives, the caretakers and the well-wishers should remain helpless? That getting irritated and sometimes yelling may be the natural reaction to their sufferings has to be understood. We can practice not getting agitated by such reactions, even though we may have to face it several times a week. We can imagine ourselves in their situation to understand their agony. We can always take the lead and initiatives to cheer up our unfortunate friends. A smile on face is always a welcome step. We can often compliment our patients about their inner beauty and the bravery with which they are facing the situation. How they are the inspiration to millions like us who start complaining at the drop of a hat. How the presence and absence of hair has no bearing on our liking them should be stressed. We being their first world are more important to them than other individuals, and vice versa is true should also be conveyed to them. We can always tell them how important and precious they are to us, irrespective of their hair; for its they who are important, and not their hair and physical features. We can also quote the religious scriptures, for they provide with the much needed spiritual guidance. Categories: Cancer, Cancer guidance, Cancer patients, Social responsibilities | Tags: cancer, cancer awareness, cancer survivor, cancer treatment, chemotherapy, hair loss, side-effects | Permalink.